This school year, 20 members of Wellesley’s Class of 2013 are standing in front of the classroom for the first time as teachers with the Teach for America (TFA) corps. This number of alumnae makes Wellesley the second highest contributor among small colleges who send graduates to serve in the nation’s underserved districts through TFA. 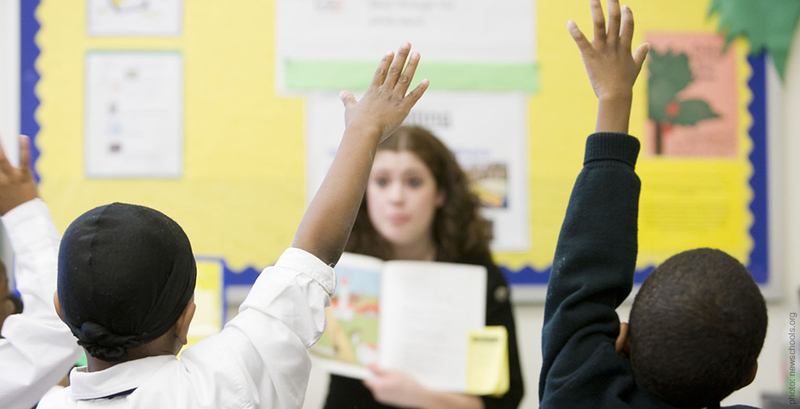 Founded in 1990, Teach for America works in partnership with communities to expand educational opportunity for children facing the challenges of poverty. The nonprofit organization recruits and develops a diverse corps of well-qualified individuals from many academic disciplines to commit two years to teach in high-need schools, with the goal of forming lifelong leaders in the movement to end educational inequity. According to a 2005 alumni study, 72% of TFA alumni remain in the education field after their experience. TFA corps members work as full-time teachers, receiving the same salary and health benefits as other beginning teachers in their school districts. During their two years, the teachers receive additional support and training from the organization as well as assistance with loans and travel expenses. This fall, with 5,900 new TFA members, a total of 11,000 teachers now serve in 48 urban and rural regions across the country. In addition to the many Wellesley women who pursue teaching careers through other (traditional or alternative) routes, the high number of alumnae who enter the TFA corps have consistently placed Wellesley at the top of its category for contributing institutions, along with fellow women’s college Spelman College.